If you went to college, no doubt you tracked your grades carefully throughout school. But if you’re currently a working professional, or are looking for a job, you now have another important report card to pay attention to: your credit rating. Simply put, having perfect credit is just as financially beneficial to you as is having a degree. Consider this: FICO credit scores range from 300 to 850 points. The higher your score, the better a credit risk you are, meaning you’re likely to repay any kind of loan you obtain, such as a mortgage, student loan or even a credit card bill. A high FICO score also shows that you’ve done an excellent job of managing credit and debt—something that, as I will explain shortly, can help you save or earn more than $1 million over your lifetime. But for now, it’s worth noting that the $1 million in savings or earnings from having outstanding credit rivals the economic benefit of earning a degree. After all, the U.S. Labor Department reports that someone with a college degree will earn about 62% more annually, or $1 million over a lifetime, compared to a person who only has a high school diploma. But back to your credit reports and credit scores. Every adult in America should know what’s in his or her credit report. Furthermore, you should know what your current FICO credit score is. To get your credit report from any of the big three credit reporting bureaus—TransUnion, Equifax, or Experian—you can order your credit file by telephone, online, or using good old snail mail. I tend to like things faster, so I’m more apt to do things over the Internet and get information instantly. You’re also entitled to get one free copy of your credit report from the credit bureaus by logging onto www.annualcreditreport.com. It will give you the addresses and often the phone numbers for your creditors should you need to contact them. Your credit file will also indicate whether any negative information is contained about you in public records—things like court judgments, bankruptcies, and state and federal tax liens against you or your property. To get your FICO score, you have to go to the company that originated it. FICO stands for Fair Isaac Corporation. It is the Minneapolis-based company that develops credit scores for tens of millions of people in this country. Find out your FICO score by visiting www.myfico.com. While there are multiple types of credit scores available, such as the VantageScore and others, FICO scores are seen as the gold standard when it comes to credit scores. About 90 percent of all the top banks in this country use FICO scores to determine whether or not to extend you credit and at what interest rate; this includes mortgage companies, credit card issuers, auto lenders, and other financial entities. Having a great credit file—and particularly having a high FICO credit score, is often better than having cash in the bank. In fact, having a great FICO score can be just as important to you as that degree you spent so many years pursuing. Why? Because having pristine credit is economically on par with earning a college degree: both promise a $1 million payoff. Every loan you will obtain – from student loans to credit cards to mortgages, auto loans and more – will be granted at a certain interest rate determined by your credit score. If you snag a lower rate due to having great credit, that’s tens of thousands if not hundreds of thousands of dollars saved. On top of that, the cost you pay for insurance over your lifetime is also tied to your credit rating. Additionally, your earnings potential is pegged to your credit rating – not just whether or not you have a degree. Tally it all up, and having good credit can help you save or earn a cool $1 million during your life. Unfortunately, countless number of college grads ruin their credit while in school by accepting too many credit cards, maxing out their accounts, paying bills late, or, even worse, not paying at all…and then find that they can’t even get jobs in their field because of poor credit. Don’t make this mistake. You must jealously guard your credit at all times—and not just think about credit when you’re in the process of applying for a loan of some sort. Most college students and college grads don’t know that their FICO credit score, and their entire credit standing, affects so many aspects of their lives—or will in the future after they graduate. When you are trying to get a job, did you know that an employer can legally pull your credit report and determine whether or not to extend a job offer to you? On your existing job, your current employer can also pull your credit report, and determine whether or not to give you a promotion. And I’m not talking just about jobs where you might be handling money or be responsible for financial matters. Credit checks are done in virtually every job industry in America. According to the Society for Human Resources Management, about 60% of all U.S. employers do credit screening for some or all job applicants. But your credit rating affects you in more ways than just your job prospects. When you are in the market for auto insurance, did you know that your auto insurance rates are determined, in part, by your credit score? The same thing is true of life insurance. Your life insurance rates are set, in part, based on your credit standing and your credit score. Those with great credit will be offered better, more affordable life insurance rates compared with those with poor credit, who will be forced to pay higher insurance premiums. Will Bad Credit Cost You a Job or a Promotion? Always guard your credit rating. 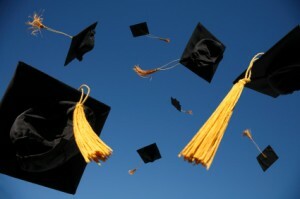 Don’t let your future career options be limited because you mishandled your credit and debt. I have heard of cases where job offers have been put on the table (in writing no less—with formal salary packages, benefits, and a slew of perks detailed), only to have those offers rescinded once the company has done its review and found a candidate’s credit to be poor. It may not sound fair but it certainly is legal. So these are some of the ways in which your credit clearly impacts you in a very big and real way—and it goes far beyond your ability to get a loan. Your ability to earn a livelihood plays a very crucial role in your financial success in life. I’ve already mentioned statistics from the Labor Department (as well as the U.S. Census Bureau), which point out that the average college graduate earns 62% more annually than does the average high school graduate—which translates into about $1 million-dollar earnings gap over a lifetime. So clearly you want to get those good, high-paying jobs. But you won’t be able to if poor credit hampers you. And increasingly, more and more companies are doing routine credit checks as a condition of you coming to work for them. It doesn’t matter what kind of job you’re seeking. In some companies, everyone must pass a credit check—from the janitor to the CEO. That’s the case, for instance, with HSBC Bank. Because HSBC values financial literacy for its workers, I once did a workshop for about 120 HSBC Bank employees in Chicago, teaching them about the importance of maintaining great credit and about the ways in which your credit standing can either help you get ahead in the workforce, or hold you back. The trends in place suggest that routine credit checks will become the norm in all industries, regardless of what type of job you’re seeking. So this alone is one reason why it’s important to maintain an excellent credit profile. Need help with your credit rating? 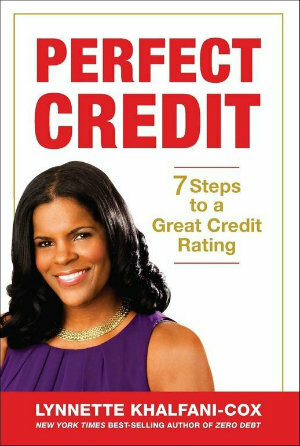 Be sure to check out my book, Perfect Credit: 7 Steps to a Great Credit Rating.